Sorry I've been absent. Just feeling the blahs. I have a lump that has turned up on my scar above my liver. It started as the size of a pea and is now the size of a golf ball. and it Hurts! and I'm scared! I go to the liver doctor on Monday. Please pray that it is something minor. 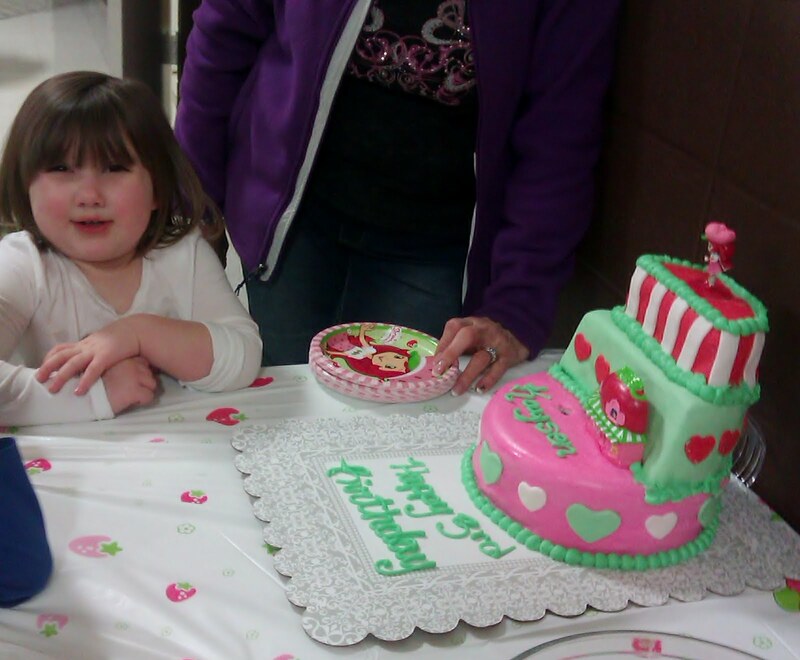 Kaysen had her 3rd birthday party yesterday. She refused to smile for pictures. They did it in the community center at their church so they could add a bouncy house inside on a cold day. I was told everyone had a great time. Another reason I've had the blah's is I couldn't go. Hubby couldn't get off work. Her actual birthday is Tuesday the 5th. I always feel so left out of my kids and grand kids lives. I never wanted to be that grandma that sent presents and you only saw twice a year. But I am. Sandee, I'm on the last book. Again, thanks so much. Happy Super Bowl Sunday everyone. Hubby is for Baltimore. I could really care less. You are in my prayers. Please let us know what happening as soon as you know. Sorry you couldn't be there for the birthday party. I hate that too. I don't see mine enough either. I love Maxine. 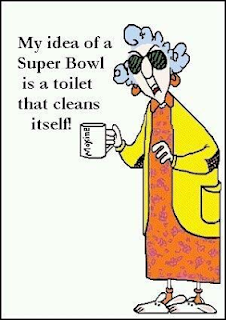 She's my kind of gal and I agree with her on her definition of Super Bowl. Glad you're enjoying the books. They were fun. Sending prayers your way. I hope everything is OK. My grands live far from here so I don't get to see them very often, but when I do I make the best memories I can with them. Love Maxine. I need a super bowl. LOL! Glad your back Saundra!! Sending thoughts and prayers your way.